For extra peace of mind we can protect your new fabric sofa or chair before it leaves our warehouse. Not to be confused with inferior off the shelf products, our stain protection treatment will delay spillages being absorbed into the fibres giving you precious extra time to deal with accidents. 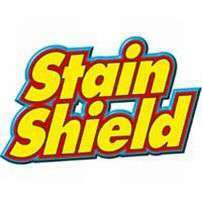 Stainshield forms an invisible barrier on your furniture making spills and stains easier to remove. Spillages can be removed with absorbent tissues or sponge whilst dried stains are more easily removed. In addition to this, our treatment incorporates a dust mite & fungal mould inhibitor (Actigard), making it especially beneficial for allergy sufferers and asthmatics. Dust mites together with fungal mould are directly linked to over 55% of all asthma diseases and other related allergies including eczema, rhinitis, sinusitis, watery eyes and coughs. Actigard will not only have a beneficial effect on the major causes of allergens, it will also kill and protect from, a vast range of other infestations including fleas. Your furniture is protected by our professionally trained staff before despatch which saves you the inconvenience of having it done in your own home. A certificate of application is provided on delivery of your order. The cost below is per seat unit ie. A single chair costs £45.00 to protect, a two seater sofa £90.00 and a three seater sofa £135.00. Depending on where you live, delivery of this Stain Shield Furniture Protection will be made by either our in house delivery team or our one of our specialist couriers. You will be advised which method is being used when we arrange delivery. We will do our best to ensure that your Stain Shield Furniture Protection is delivered on the date agreed. There are times however when this is simply not possible due to unforeseen obstacles encountered by our drivers, whilst attempting to deliver the order. If the customer is not available when we attempt delivery we will return the goods to our warehouse and a new delivery date will need to be arranged.